The automotive industry has a growing demand for high-quality, lightweight materials to produce automobiles. With this demand, the steel industry saw it as a great opportunity to revolutionise and optimise their steel production processes. Now, steel manufacturers improve their production by using computing technologies to carry out automation and streamlining operations. Since the manufacturing floor is damaging to a commercial-grade computer, industrial-grade panel PCs are being utilised because of their durability and stability. These rugged panel computers are enclosed in a metal structure which protects the device from shock and residue damage. 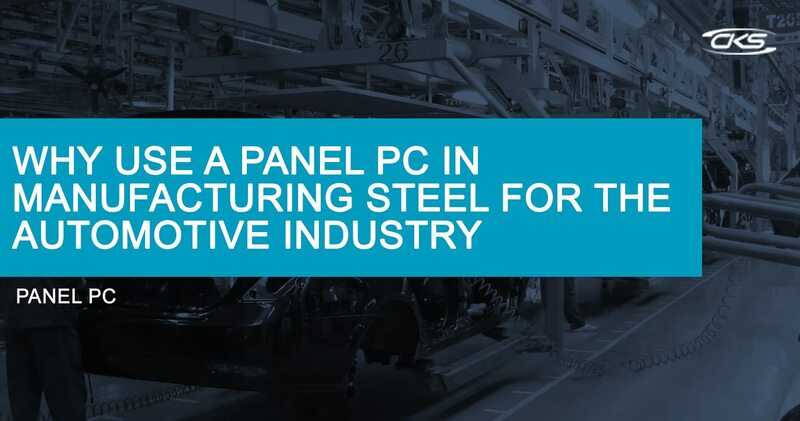 Read on to learn more about industrial panel PCs and the advancement of steel manufacturing for the automotive industry. Automobile manufacturers use steel in their vehicles because it is the strongest and most affordable material. In addition, it can be worked and modified in various ways to fit a specific requirement of an automobile. Today, a new type of steel called the Advanced High Strength Steels (AHSS) is being an in-demand material for automobiles because of its high strength and excellent formability. However, due to AHSS’ varying components, the manufacturing floor has extreme temperatures, dust, shock and vibration. Industrial grade panel PCs are being used because it can survive the plant floor’s harsh environment. In addition, panel computers are compact which means they are perfect to be used in conjunction with other devices. Generally speaking, industrial panel computers are resilient to factors that can harm a typical computer. Also, it can survive heavy usage without the worry of malfunctioning hardware in the middle of a critical operation. Always choose a unit that has a high IP Rating and NEMA sealing. This is an assurance that the unit has been tested for extreme temperature damage, dust, water, shocks/vibration damage resistance. Stainless Steel is the material being used to ensure that the unit can withstand high impact damage. That way, it prevents the entire operations from stopping midway. Operators in the steel industry are gloved. Keypad or touchscreen features of an industrial panel PC should be designed for use with gloved hands. Low power consumption is necessary for an ideal industrial panel PC. This is because the allocation of energy must be distributed efficiently to other devices requiring high power consumption. Additionally, the manufacturing floor has an extreme temperature. Check out for a unit that has a reliable cooling system fit for 24/7 usage. AHSS is now being used for nearly every new vehicle. Up to 60% of a vehicle’s structure comprises this type of steel. As a result, it reduced the overall mass while improving the strength and durability of an automobile. The steel industry is investing significantly in this type of steel. And in order to mass produce it, industrial panel PCs are being utilised in its production. That way, modern vehicles can take advantage of the benefits that the AHSS can provide. Rugged panel computers can survive varying environments. Likewise, it is equally important to choose a suitable panel PC for specific requirements. Find an industrial computer manufacturer today and advance to industrial PCs for modern steelmaking process.